Olot Artistic Skating Club, sponsored by Peta Zetas®, has got again the first place in a competition; in the Catalonia Championship celebrated the last 7th and 8th of February in the Reus Olympic pavilion, city where in October the “Big Shows Group” achieved the gold medal in the World Championship. New season, new choreographies and challenges to get the best mark in the categories which they are participating. Our sponsored has won the first place in the “Young groups” and “Big groups” categories with 2 new choreographies. It has been a great weekend with the meeting of the most professional teams of Catalonia. 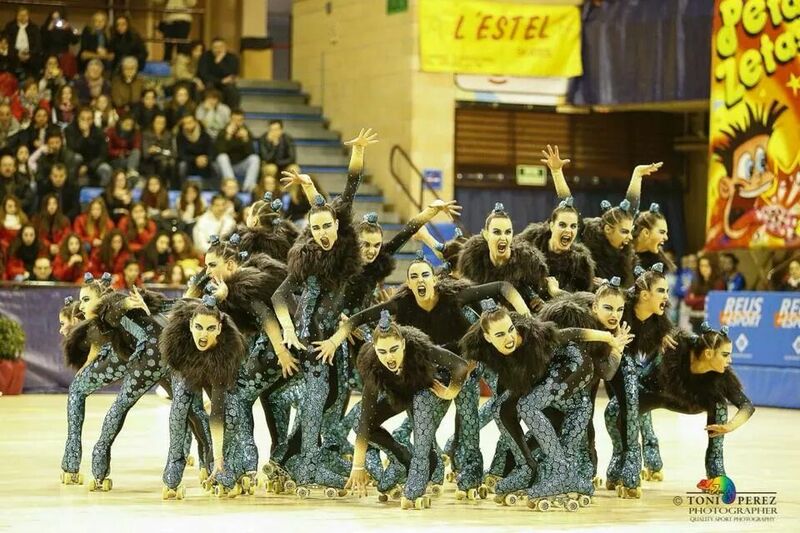 In addition to Olot Artistic Skating Club, in the “Big groups” category, the other finalists have been the Reus, Masnou and Girona teams. In the “Four group” category the winner has been the team of Parets. Peta Zetas® congratulates the winners and continues supporting all the professionals who work with effort and dedication.